Individual patterns may vary from those illustrated. at occasional Craft Fairs held in the Fair Isle Bird Observatory Visitor Centre during the summer months. 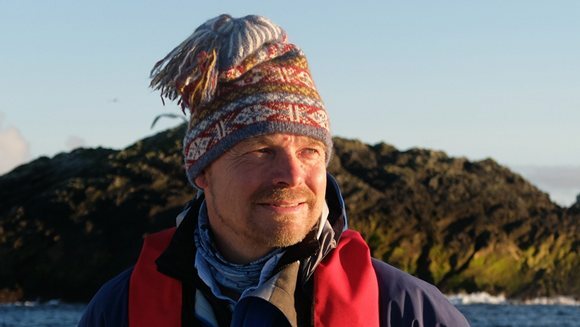 A selection of my 'Exclusively Fair isle' hats and accessories may also be purchased via the Fair Isle Bird Observatory Shop throughout the visitor season between May to October each year. Subject to availability, a small number of garments may be ordered throughout the year. Please contact us if you would like to place an order or to discuss your order, I will be very happy to help. An email confirmation will be sent to you once your order has been accepted along with an invoice including postal rates, estimated delivery time and payment details. (PLEASE SEE BELOW). Please note that garment prices and/or postage may be adjusted as necessary during the season. is now CLOSED until further notice later in 2019. Please watch this space for up-dates. Payment at the Fair Isle Hall on Cruise Ship days is by Cash only. Payment at the Fair Isle Bird Observatory shop is accepted by sterling cheque, cash and Visa/Mastercard. MAIL-ORDER PAYMENT: by sterling cheque or Paypal. Full payment is requested on acceptance of order. For mail-order delivery - 1st Class (Recorded) postal delivery to UK destinations - P&P from £8.50 per order. Special Delivery (Royal Mail) to UK destinations - P&P from £10.50 per order . Please contact us for delivery costs for more than one garment per order and for postage rates to EU and other international destinations. Fair Isle's mail-service is weather-dependent and delivery to UK may take up to 10 days or more from date of postage. Please allow up to 14 days or more for international destinations. Please contact us on receipt of your order in the event that you may wish to return a garment for exchange or refund. Please note that postage for exchange/refund is paid for by the customer. All knitwear designs featured on this website are the Intellectual Copyright of Elizabeth Riddiford. All rights reserved.